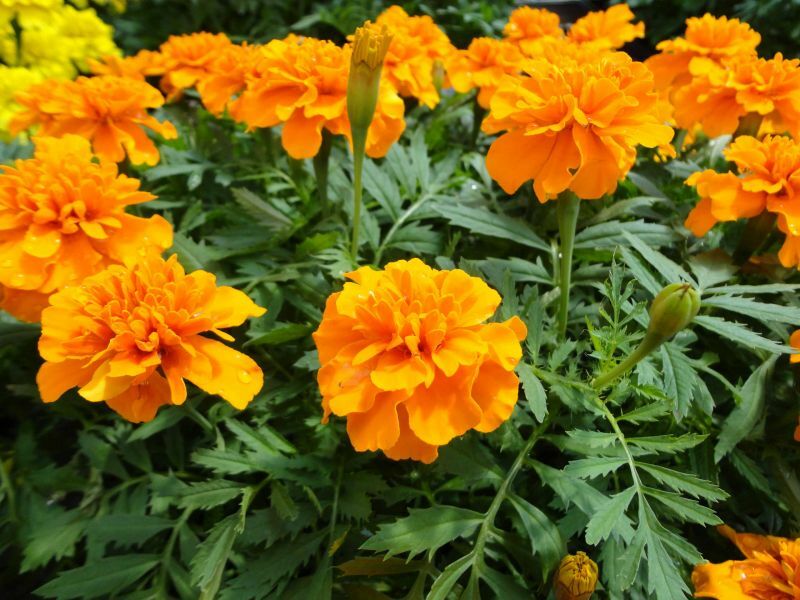 Several plants are known by the common name “Marigold”, but the two most popular types are French marigolds (Tagetes patula) and African marigolds (Tagetes erecta). Interestingly, French and African marigolds are neither from France nor Africa. Both plants are native to Mexico where, even in that warmer climate, they are still considered annuals. French marigolds are mostly dwarf. Blooms can be double, semi-double or single and are available in colours ranging from common yellow, orange and gold to shades of red and numerous bi-colour varieties. 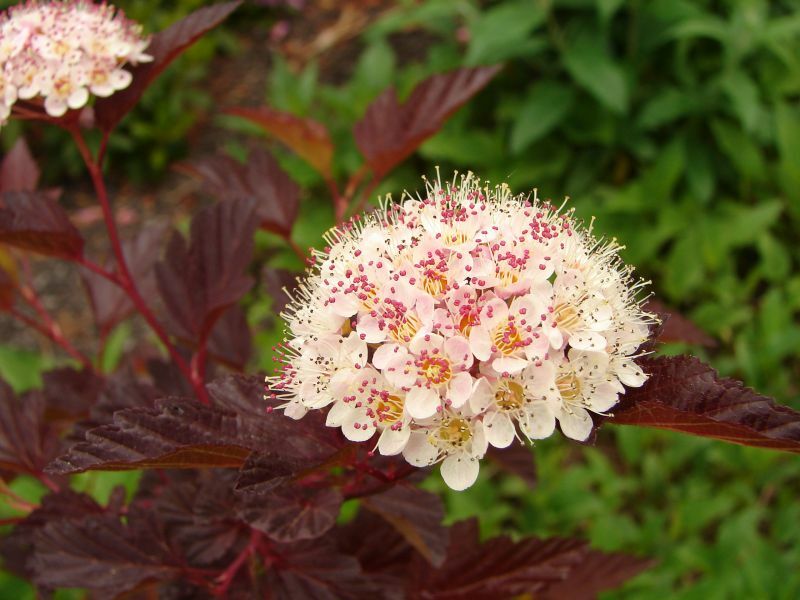 All are profuse bloomers, covered in flowers from late spring until the first frost in fall. Of all French marigolds, the variety “Bonanza” has the largest blooms, measuring as much as 2½ inches across. The plants are uniform and the colours are intense. Two of my personal favouites are Bonanza Orange, whose orange is among the richest I have ever seen on a bedding plant, and Bonanza Bolero. The latter was a new introduction in 1999, when it was given the coveted title of “All American Selection”, an award which recognizes a new flower or vegetable that has proven to be superior to all others on the market. Each Bolero bloom is one-of-a-kind with random splashes of mahogany red on golden yellow petals. African marigolds have fewer flowers than French, but the blooms are significantly larger and almost always completely double. Colour choices are limited to solid shades of yellow, gold, orange or cream. Compact African varieties, such as “Taishan”, grow about 12 inches tall with large double blooms atop stocky stems. Slightly taller, “Marvel” grows 18 inches tall on extra sturdy stems. All French and African marigolds perform very well in hot, dry conditions, making them a natural choice for an otherwise difficult, scorching southern exposure. Marigolds are both tender and tough: Tender because they are quick to perish during the slightest frost, but tough because no matter how roughly they are handled during planting they will not be bothered at all. The proof – it was the only annual my parents let me, at age 7, help transplant when they entered the nursery business over 40 years ago. Speaking of my parents, my daddy always told me to tell the truth, so I do have to say this about marigolds - they have a peculiar odor. It’s the sort of scent that you either love or hate. Myself, I actually quite like it and don’t understand what the fuss is about. But some people loathe the scent. It’s one of those things you’ll have to determine for yourself. Centuries ago Aztecs had several “practical” uses for marigolds, including a treatment for hiccups. In some cultures marigolds play important roles in religious ceremonies. During the Mexican celebration, Day of the Dead, for example, marigold flowers are used in abundance to decorate shrines and graves of departed loved ones. For us, though, and for people in most other parts of the world, Marigolds are, plainly and simply, an old, reliable favourite annual in the garden.